People come to the sport of triathlon from many directions. Some are led to it by another sport. Others, like me, need it to cross-train due to injury. Whatever the avenue, triathlons are fun and challenging. Here are 4 reasons why you should consider competing in a triathlon. Be bold, be fierce. You can do it! There are many versions of the endurance sport of triathlon, but the most popular involves completion of swimming, cycling and running immediately one after the other in varying distances. Triathletes compete for fastest course completion time, which includes timed “transitions” between the sports. There are two transitions: Transition 1, between the swim and the bike, and Transition 2, between the bike and the run. The transition area is where you store everything you need to complete the triathlon, for all of the three endurance disciplines. This area is where you will switch from the swim to the bike, and then the bike to the run.Training for and completing a triathlon demands a “can do” attitude, and an understanding that your mental fitness is just as important as your physical fitness. You need clear goals for the swim, the bike, the run, and your transitions. In the most popular form of triathlon, there are THREE sports you will be training for: the swim, the cycling portion, and the run. Plus, you definitely want to practice your “transitions.” The minutes you spend in each transition add up, so quick and efficient transitions are a must. You will be doing multiple workouts each week, for each of the three sports. Some days you may do a “brick,” which means training for two disciplines during the same workout, one right after the other with minimal time in between, to mimic what you will be doing during your race. You may even do a strength workout in the gym once or twice a week. How do you possibly fit all of this into your already crazy busy life? It can be done. It IS being done by thousands of singles, working parents, and retirees who all have a big dream and the commitment to achieve it! That dream, that commitment calls for a solid mental strategy and a dedication to your workouts which will ensure success in completing your triathlon. If you take on the challenge of your triathlon with a winning attitude, you will find the time, make the time, for your workouts! My teammates and I, Madeira Beach Triathlon, Summer, 2017. When my ankle broke, I was deep in the running community. 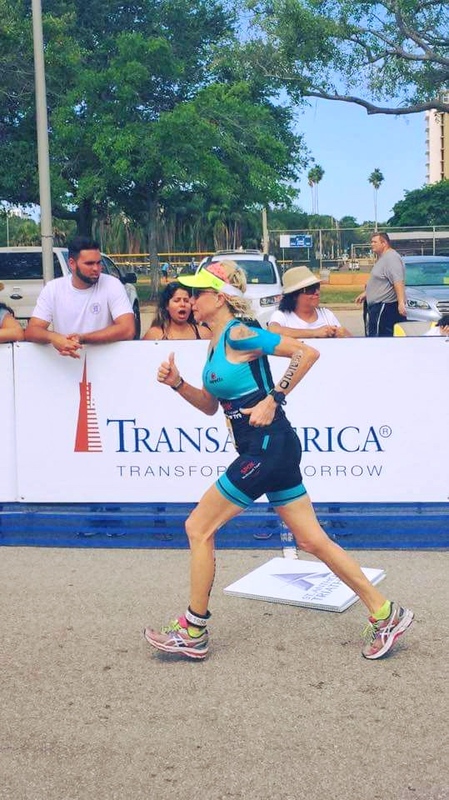 When my sports medicine doctor recommended I consider competing in triathlons as cross-training, another whole arena of friends opened up to me on my swim team, friends who bike with me, friends who run with me and do “bricks” with me. There are many resources available to a novice triathlete, and the veteran as well. Consulting a bike shop is a great place to start for information on training buddies, coaches and training plans, as is your local YMCA. Googling ‘triathlon’ along with your zip code is yet another option. Triathletes are bada$$ athletes who eagerly share tips and information they themselves learned along the way with you. Who knows, they may just end up being your best friends, as has happened to me. Think I like triathlons? Why yes I do!!! 4) You Should Try A Triathlon Because It Is Fun! Yes, it IS fun! The camaraderie built during training brings long-lasting friendships. The pool swimming and OWS (open water swimming), bike training, and running with newly founded friends cannot be underestimated in enriching your life! 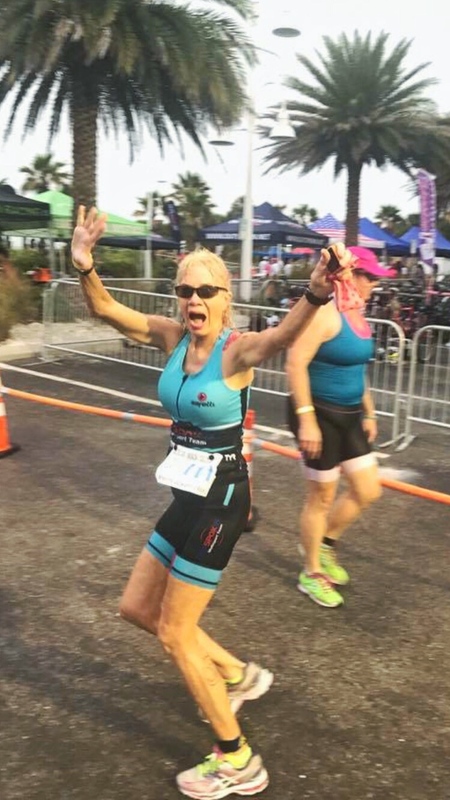 The experience of your first ever triathlon probably won’t ever be forgotten- the weather (I did a tri when it rained almost 100% of the time, and the bike portion was cancelled), racking your bike in the transition area for the first time, racing into the water for the first time at the start of the race, and crossing over the finish line for the first time, are all unforgettable memories. Then there’s the “expo”, where everyone gathers to pick up their race bib/number and have a look at all vendors that set up to sell their wares. You can snag some sweet deals during an expo. 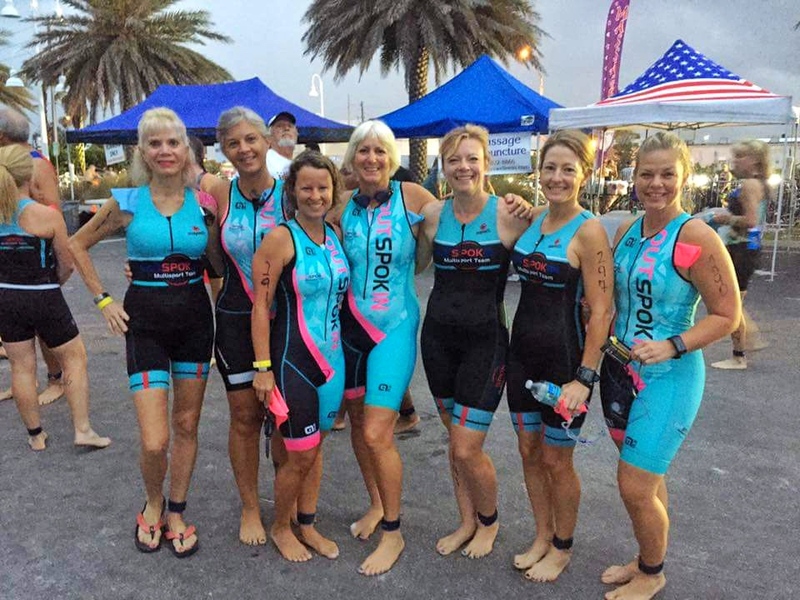 You will probably see loads of your training buddies, or possibly teammates if you decided to join a group dedicated to completing triathlons. The training in and of itself can be fun and will give you an overwhelming sense of accomplishment once you have completed it. But once you cross the finish line full of endorphins from your race, your finisher medal placed in your hand or hung around your neck, and you realize that YOU DID IT, the real fun begins! That’s when you head on over to T3 (Transition 3) also known as the post-race party. You will eat and drink to your success and that of your friends. And maybe brag a little about your epic achievement? Admittedly triathlons are not for everyone. 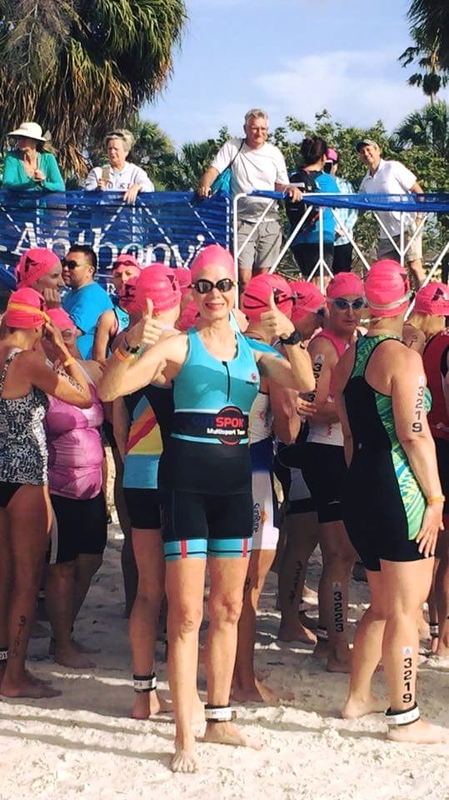 But if you are looking for something different/unique to try, that is not only a challenge but a ton of fun, you may want to consider participating in a triathlon. The rewards you earn by training and completing your triathlon will last a lifetime! Have you ever done a triathlon? Have any questions about doing one? Please respond in the comment section below. Great article, very inspiring. All your points are true true true. Your Outspoken picture is fabulous with everyone in their snappy suits. Thank you, Christine. That picture is all the Outspokin “blondes” who competed that day. Thanks for another great blog, Linda! Colleen, I would suggest you start with the bike/tri shop Kona in your area. They have a great reputation and would be a great starting point for you. Also, for your open water swims, you are fortunate enough to live semi-close to the new man-made lake opening soon up in your neck of the woods. Any YMCA is an excellent place to look for information too.